In February, a stare-down between a Native American man beating a drum and a white teenager in a MAGA hat caused a national stir outside the Lincoln Memorial. And 10 years ago, Leslie Locklear, a member of the Lumbee and Waccamaw Siouan tribes, was a freshman at the University of North Carolina at Chapel Hill. Her classmates asked if she lived in a teepee. Locklear said her peers’ comments were the fault of an American public school system that doesn’t teach the roles of American Indians in an accurate way. Educators see long-term problems with glossing over Native American history starting in elementary school. Native Americans compose about one percent of the U.S. population. American Indian/Alaska Native residents make up 1.8 percent of North Carolina’s population as of 2014. 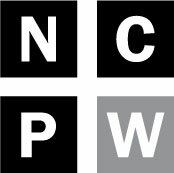 North Carolina was one of only 15 states to have 100,000 or more residents from this group. Kayla Trevethan, who teaches social studies in Wake County, thinks her first- and second-grade students aren’t getting much information about Native American life and history, even though they could handle it. According to the North Carolina State Board of Education, teachers are required to teach changes in American Indian life before and after European exploration in the fourth and eighth grades, but Locklear said this leads primarily to discussions of the Trail of Tears and that’s it. Some educators say what’s taught is whitewashed. Christopher Scott, an assistant professor at UNC-CH and member of the Lumbee tribe, said that classroom instruction enforces that the world just began when Christopher Columbus came to the new world. When she was a kindergartner in Charlotte, Erin Stacks learned about Thanksgiving by dressing up and joining her fellow Indian and Pilgrim classmates to peacefully eat a meal together. They held hands and broke bread, learning that the Indians and Pilgrims were allies who shared knowledge and thrived together. Stacks can provide this education, but she said the earlier people can be taught about Native American tradition and culture, such as in elementary school, the better. Olivia Oxendine, a member of both the state Board of Education and the Lumbee tribe, said the gap was startling. By providing an annual report highlighting the difference in testing between Native students and other groups, Oxendine said creative teachers can build lesson plans around this information. The advisory council’s website provides resources on teaching about Native Americans and, for instance, how to teach about Thanksgiving. 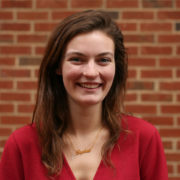 Sophie Whisnant is a senior in the UNC School of Media and Journalism studying reporting. From Wilmington, North Carolina, Sophie has worked at the Wilmington Star-News as a Gatehouse Media intern. She has also interned at Creative Loafing, a lifestyle magazine, based in Charlotte. Sophie is pursuing a career in entertainment writing for a magazine.